One of England’s sweetest and best shopping villages is around one hour from London by train. Story Jessica Adams. Travel does not have to be complicated. You don’t need a lot of maps and apps to have one of your best, hands-down, British experiences away from London. Just catch the tube to Victoria Station, go upstairs to the main overground station, buy a return ticket to Lewes and one hour later you’ll be in wonderland. 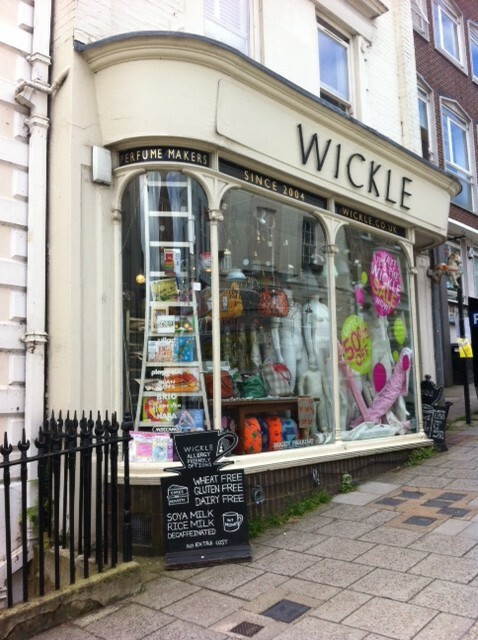 Lewes is one, long, magical street with lovely pubs, hip and charming shops, great retro furniture and vintage clothes and the famous Bill’s foodie mecca (pictured). 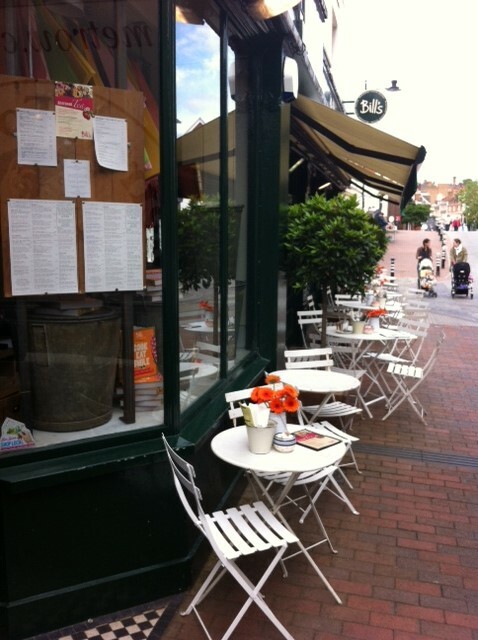 Bill’s introduced the British to the idea of trestle-table dining, but you can find a table here too. They sell pasta from the shelves and if it’s a nice day you can sit outside. 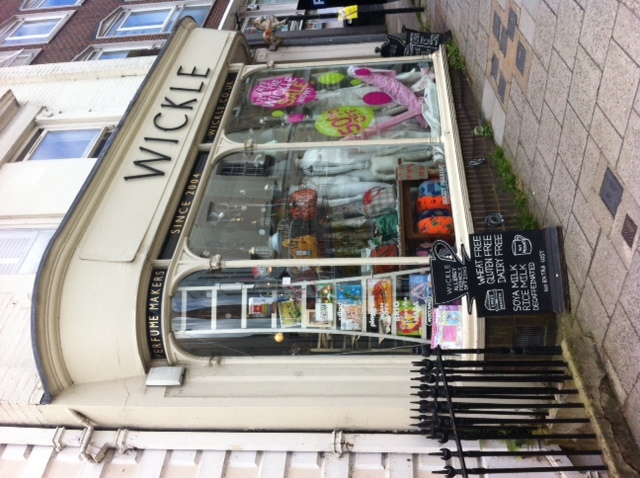 To find Bill’s and also the legendary gift shop Wickle (they sell their own perfume and an awful lot of irresistible notepads) just wander out of the Lewes train station – a photo opportunity all by itself – and follow your fellow human beings and the signs. Once you’re at the busy Cliffe High Street, turn sharp right to wander down to the bridge, and the river. Bill’s café is a pebble’s throw from the water. The best way to ‘do’ Lewes is to rely on the lovely black and gold signs, dotted around the town, which will take you either side of the main shopping/pub/café strip in the direction of history (you may want to visit Anne of Cleves house, which she snared from King Henry VIII after the split). If you want one of the most special swims of your life, pack your swimming costume from May to September and visit Pells Pool, which is over 150 years old. You can rejoice in the fact that the land underneath the pool was donated to the people of Lewes by King James I in 1603. 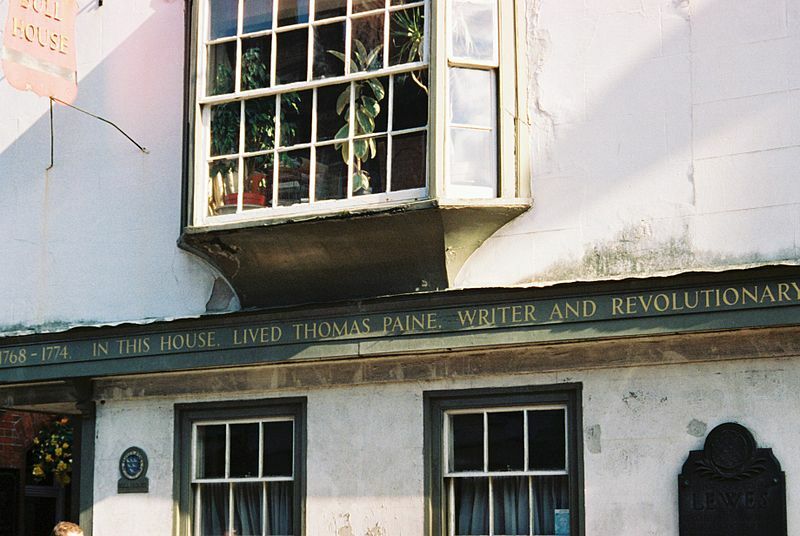 Tom Paine, the revolutionary, lived here and his beautiful house (pictured) can also be found by wandering the main street. There are still quite a few mad radicals in the town, which goes ballistic on Bonfire Night. If you want to risk it, then book your room in Lewes months before 5th November. Lewes is maximum reward for no effort. You can do a loop and drop into any number of fantastic pubs along the way as you wander up and down both sides of Cliffe High Street. It’s a beautiful little village with none of the crassness of modern life and if you want time out from London (and reality) I can’t think of any hour on a train which will get you there faster. Don’t miss the world’s most squashed secondhand bookshop – but I’ll let you find that for yourself.